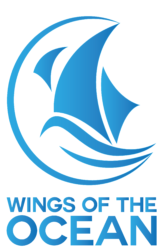 This document was made for the marine waste, protection of the marine environment and its biodiversity Campaign led by the sailboat Kraken. This document was made by Camille HERVY, oceanographer from Observatoire des Sciences et de l’Univers – Insitut Pytheas, member of the oceanographic campaign PELGAS 2016 with l’IFREMER, Author of the scientific article « Doray, M., Hervy, C., Huret, M., & Petitgas, P. (2017). Volunteer for International Solidarity in Asia working with children in need of support, Eco-keeper for the Confluence Garonne-Ariege Regional Natural Reserve during summer 2017 and Life and Earth Sciences professor in Middle-School. For its first mission the Kraken, that used to be named Pedro Doncker, has chosen to get involved in the fight against marine waste expansion. The Kraken used to be a trawler and then became a wonderful three-masts sailing through the Caribbeans with tourists onboard. 35 years later we wish to make it cross the Atlantic ocean with a whole new goal. 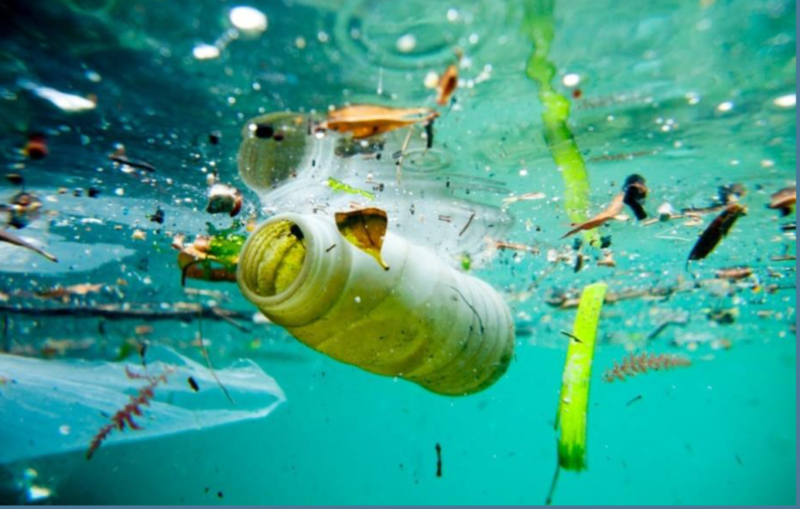 Over time the impact of the human activity on the environment weaken ecosystems because of overexploitation and bad habits leading waste to ultimately end up in the ocean. Between fishing nets and plastic waste, fauna and flora are heavily impacted. Oceans are extraordinary containers for life but unfortunately they are strongly impacted by waste caught in currents. However consciousness around the issue evolves and more and more takes into account global ecological disturbance. Facing an obvious deterioration and after having been forsaken for a while Nature now brings attention. A sustainable approach is now a necessity for future generations. It’s important to take the time to explain kids and teachers so they can become tomorrow’s ambassadors. The issues are mostly focused on evolution of plastic waste management methods. Kraken’s mission aims to stand up for ocean respect and rehabilitation. Our strategy is to show that it all starts with becoming self-aware as well as adjusting to responsible daily actions to save our oceans. I- Spreading through the Carabeans Sea. The very first mission for the Kraken will be in the Caribbean Sea. The Caribbean Sea shapes 35 countries including 17 islands. It’s the second biggest Sea in the world. It’s the heart of the Atlantic biodiversity with more than 12046 marine species, 13% are endemic . It’s more than 1400 species of fish and 76 species of shark living in coral reefs, mangrove swamp and herbarium [2, 3]. 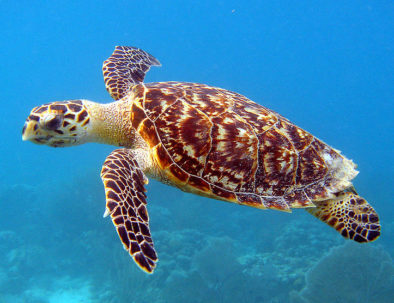 Unfortunatly these species are threatened and caribbean ecosystems are in danger. The food web bonds every single specie. If it’s being impacted somewhere then the entire ecosystem will suffer from it. And this is a reality. For instance, coral reefs are greatly impacted in the caribbean sea with a reduction of 80% of their living area (Fig. 1) and fish living in the reef have reduced by 2.5% to 6% . 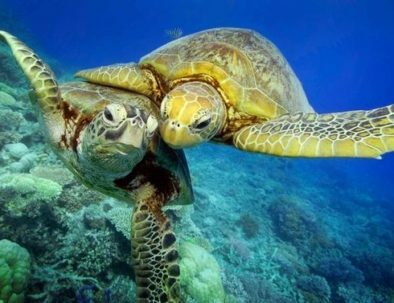 Because of human impact many more species can’t live in coral reefs month after month. Reduction of marine spaces, pollution and overfishing are the main causes. Some platisc waste look lile prey and others and true floating dangers traping predators. 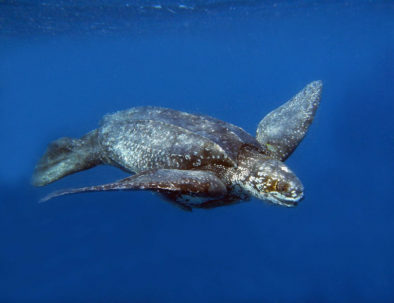 A large amount of turtles suffer from plastic waste as shown in UICN* reports. II- Marine waste and its impacts. Benthic species live on the bottom of the ocean, no matter how deep it is. The everlasting cycle of water is source of life. Rivers eventually end up in the ocean carrying everything. Plastic materials and rubbish run thousands of kilometers far from where they are from. Often purposefully dumped they get carried by the wind and end up in the ocean. Their degradation is slow and harms the environment over the years. Particules end up in Cetacean, fish and birds stomachs because they get tricked. If they don’t die directly their chances of surviving will get smaller as they keep ingesting plastic. Recent fact show beached cetaceans with kilograms of plastic in their digestive system. The most harmful floating items are fishing nets. They can be left behind, lost or dumped (mainly gill nets and nets lockers) and they keep catching wildlife while drifting. 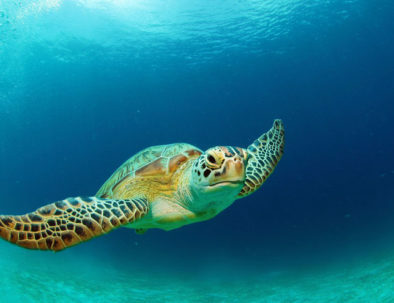 They can also get caught on benthic ecosystem and catch all kind of species on the bottom of the ocean such as turtles, marine birds and marine mammals. 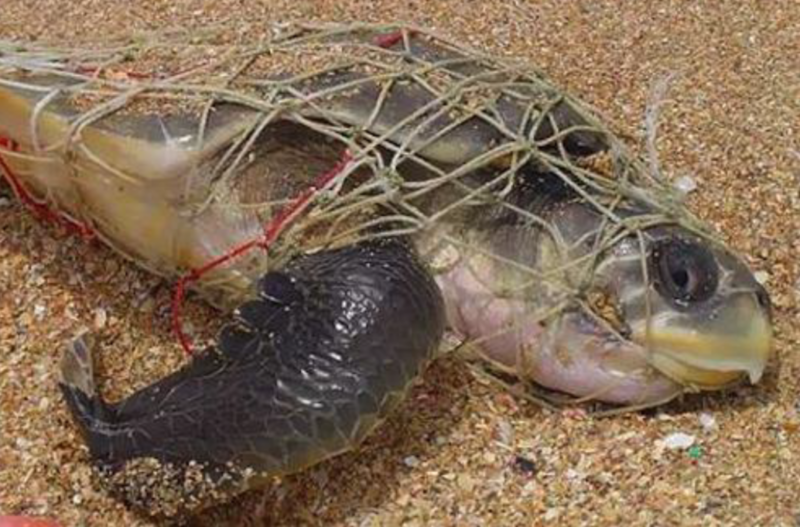 These ghost nets kills slowly but surely animals that are caught. For instance, in Porto Rico 24% of fishermen loosing traps can’t retrieve them . In Guadalupe, out of 40 000 traps set during the hurricane season, about 20 000 get lost [5, 6]. Despite being an essential economical ressource on touristic and professional levels, the ocean is getting damaged affecting local populations and bringing concerns to people around the world including the Kraken Crew. III- The Kraken sailboat and its mission. The Kraken was built in 1974 in Netherland as a trawler. 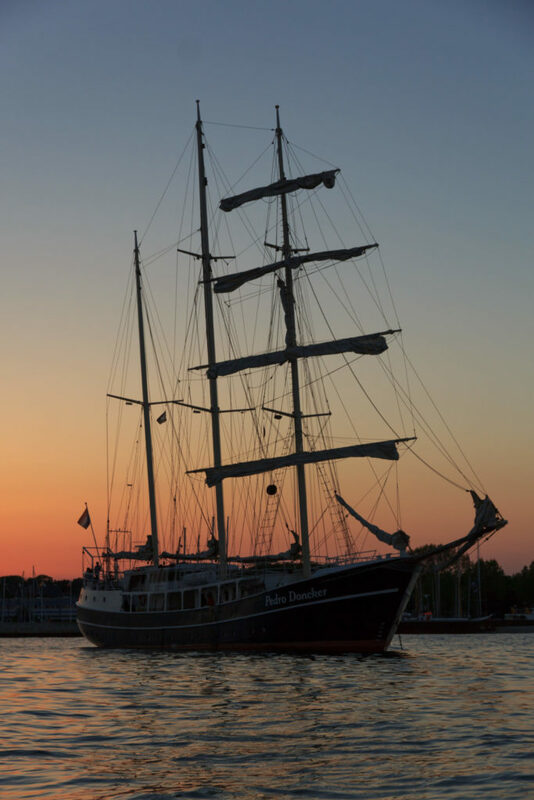 In 1983, it was turned in to a three-masts schooner and then went sail to the Caribbean until coming back home in 1985. With its new status as “old rigging” the Kraken sails through Northern Europe and participate in events on a regular basis. Indepently it comes back a few months later to the Caribbeans to pursue missions against ocean plastic waste. With its remarkable outline, it has the potential to become a symbol for the fight agains ocean waste and an awesome tool to draw attention and facilitate education towards populations. In fact, one of the first goal for the Kraken is to act directly out in the ocean. First of all it is a robust ecological tool to lead researches. It has also huge onboard capacities allowing up to a hundred people at once. It will lead concrete actions to retrieve drifting plastic in order to encourage its recycling, involving local populations and helping creating a model for plastic reuse. While leading these operations, the preservation of the environment is paramount as well as saving lives of animals caught in ghost nets. On the other hand the Kraken crew sets as a goal to raise consciousness hoping to counter balance the irreversible slope we are on. The Kraken offers educational and playful training to local school and interested people, advocating kindness and respect toward the environment though tangible advices. 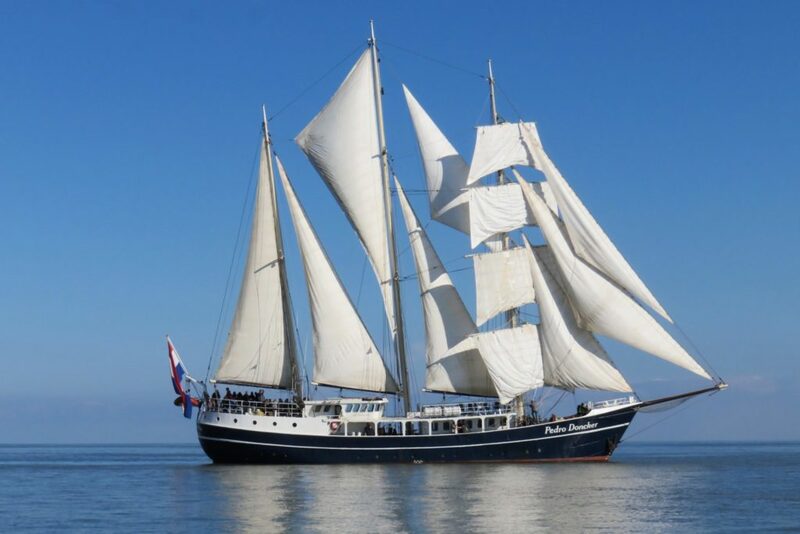 In order to get financial aids, the Kraken is also a school boat offering anyone to come onboard to learn sailing techniques and participate in actions to fight against plastic waste and drifting nets. Up to 24 enlisted people will be merged with existing crew and will take part in every task and chores on the boat. The kraken is open to any other organization or media willing to contribute to the project. The Kraken wants to act on curative steps such as retrieving drifting obects and rubbish and preventive steps to fight against proliferation of harmful object because these kind of actions are more efficient on the long term and less costly. To cure the degradation of the planet through consciousness awakening with concrete actions and inviting other envionmental protection organizations to become partners are the final objectives of the Kraken. Augier, D. (2010). Les écosystèmes marins de la Caraïbe: identification, diffusion et modes de gestion. Études caribéennes, (15). Schärer, M., Prada, M., Appeldoorn, R., Hill, R., Sheridan, P. & Valdés-Pizzini, M. (2004). The Use of Fish Traps in Puerto Rico: Current Practice, Long-term Changes, and Fishers’ Perceptions. 55th Gulf and Caribbean Fisheries Institute GCFI: 55. Burke, L. M., Maidens, J., Spalding, M., Kramer, P., & Green, E. (2004). 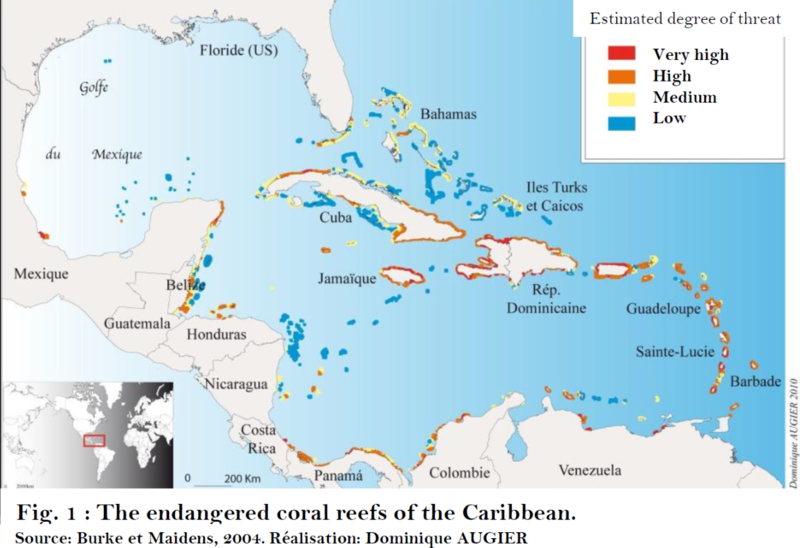 Reefs at Risk in the Caribbean. Macfadyen, G., Huntington, T., & Cappell, R. (2009). Abandoned, lost or otherwise discarded fishing gear (No. 523). Food and Agriculture Organization of the United Nations (FAO).